Pirate: One who preys on others; a plunderer. Plunder: 1. To rob of goods by force, especially in time of war; pillage. 2. To seize wrongfully or by force; steal. their state law, then raiding, looting, and leaving, with no criminal charges issued and no documentation left. Regardless of the unconstitutional illegality of marijuana under federal law, this style of “in and out” raid with no paper evidence or receipts of seizure left, is wrong, illegal and immoral. 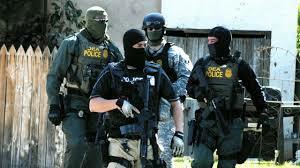 This is piracy cloaked behind a DEA badge. This is the government’s way of showing the American people that the law does not apply to them, and that if the public won’t comply with their wishes, more unlawful acts will continue under the guise of federal law. Most recently, dispensaries in the Ann Arbor and Ypsilanti areas within Michigan State have been the victims of this lawless practice. The DEA pulls up in unmarked vehicles with no sirens or flashing lights and continues to forcefully gather all dried cannabis, growing plants and cash. In an obvious time sensitive operation they exit, without leaving a copy of the warrant or a receipt of cash and goods that have been seized, which is required by law. The moment the cash is confiscated and employees begin taking pictures of the agents, they vacate without arresting anyone for these alleged crimes, which are legal under state law. This is a show of power, and a preview of what’s to come. “federal laws are valid and are supreme, so long as those laws were adopted in pursuance of—that is, consistent with—the Constitution” which these laws are not. Nowhere in the Constitution does it give the Federal Government the right to prohibit or regulate any drug, especially and most importantly, one as harmless, non-addictive and medically beneficial to the American people as cannabis. Nor has there been an amendment passed to grant that authority to the Federal Government, therefore the raids on medical marijuana labs are unconstitutional at best. That makes this prohibition, and any prohibition for that matter, unconstitutional. These are not new concepts, just ones that have been purposefully overlooked by the government for selfish and profiteering reasons. These raids are an act of piracy plain and simple. The people must not allow such actions to continue without a public outcry. Our government has made it abundantly clear that the laws they so loosely enforce with a pick and choose mentality, will not dictate their behavior. So it depends on the voice of the American people to bring awareness to these unlawful actions. 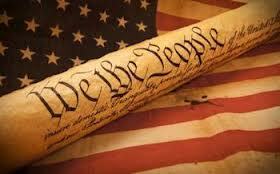 Do not stand by while your rights are forgone. Speak out and help resurrect the nation that once led the way for every country’s path to freedom. Help redistribute the power back into the hands of the people by making your voice heard once again.